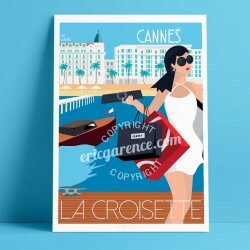 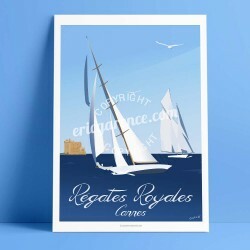 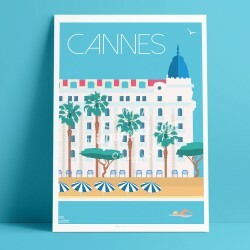 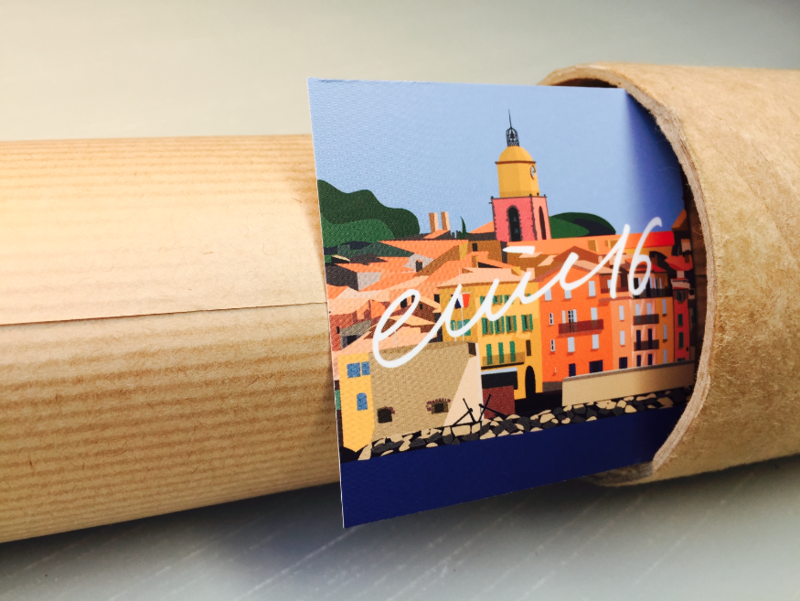 Art illustration part of the 2017 series dedicated to the Côte d'Azur. 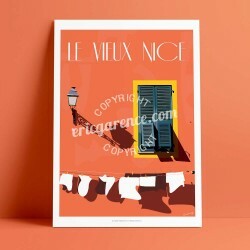 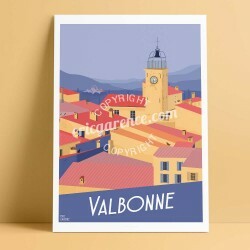 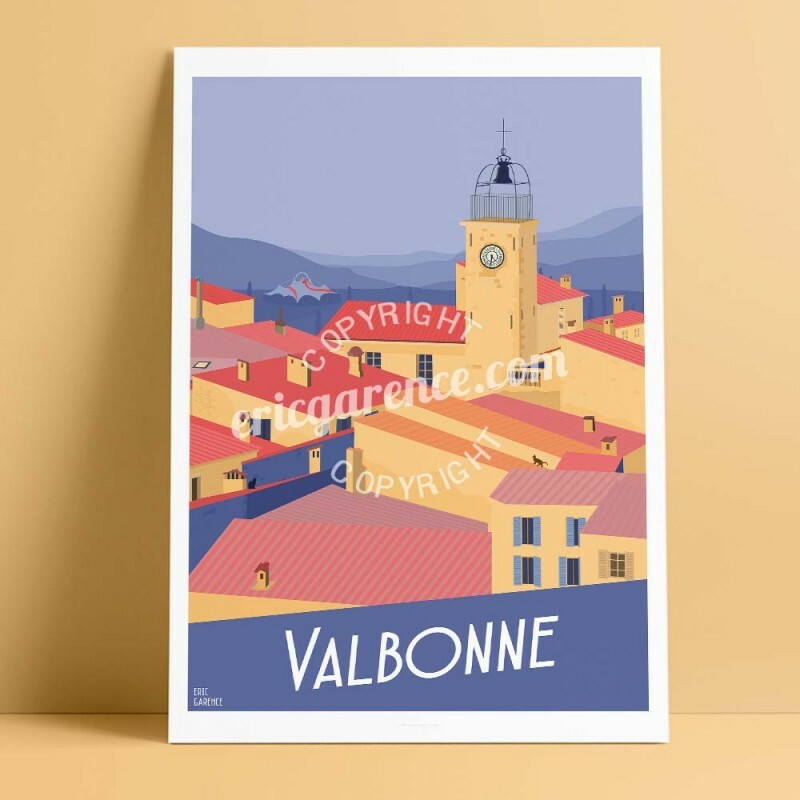 Edited in 2017 this original poster pays tribute to the village of Valbonne. 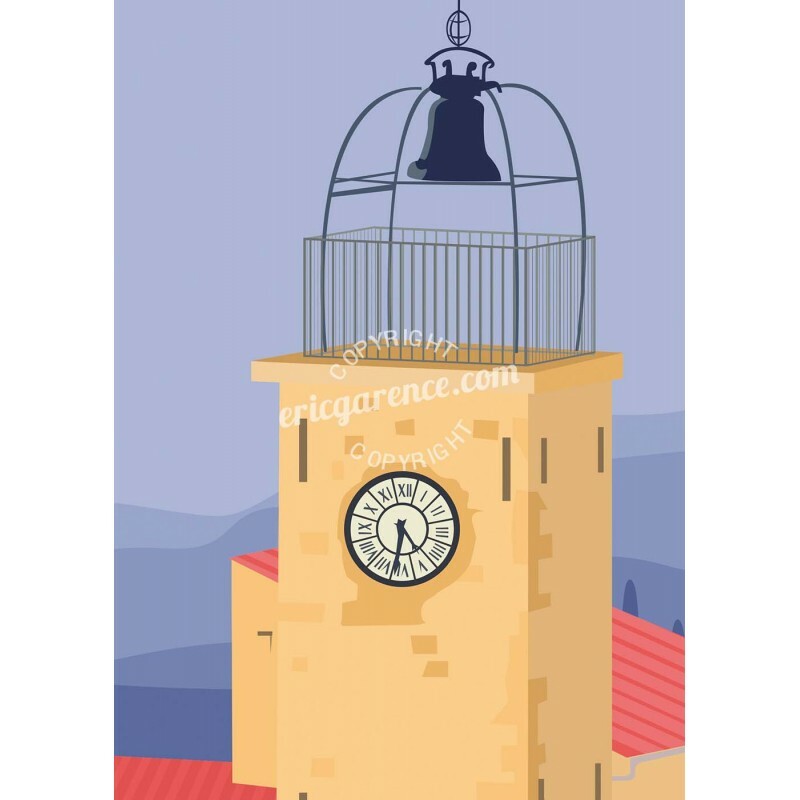 There are several strong and historical symbols of the village. 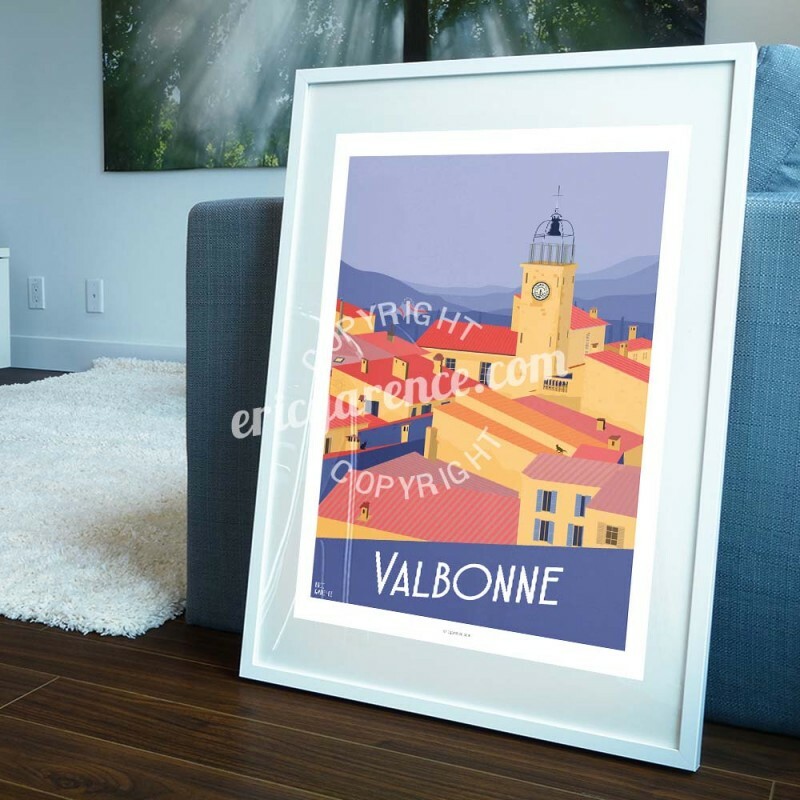 The name of the poster "Valbonne 1519" refers to the date of the appearance of the village of Valbonne. 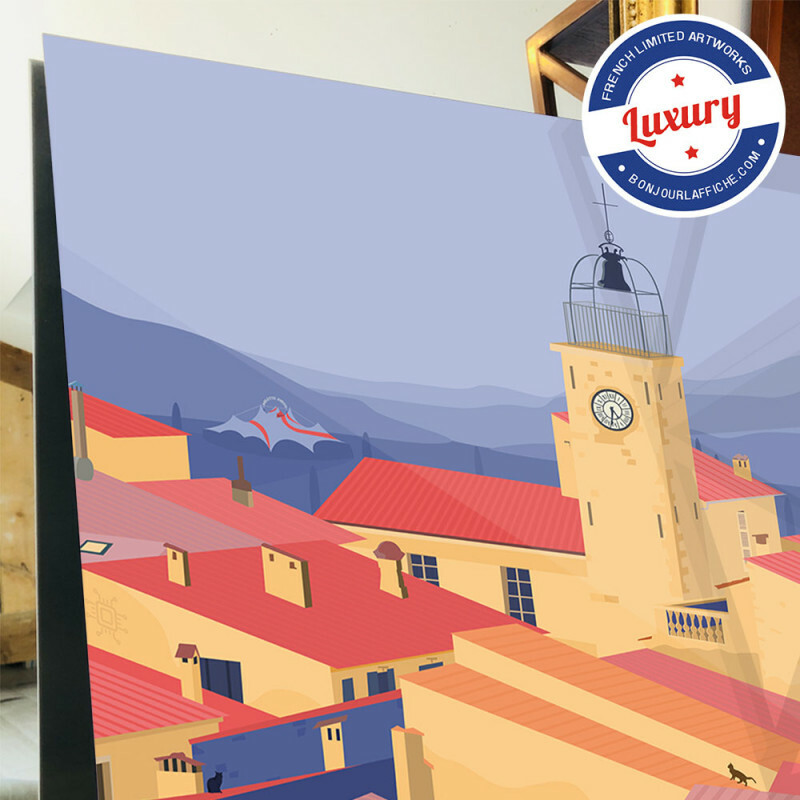 Built on an orthogonal plan, the houses of the village are all built on the same pattern, the ground floor shed, the living room on the 1st floor and the attic where the hoarded reserves were stored with the help of a pulley that can be guessed on this poster. 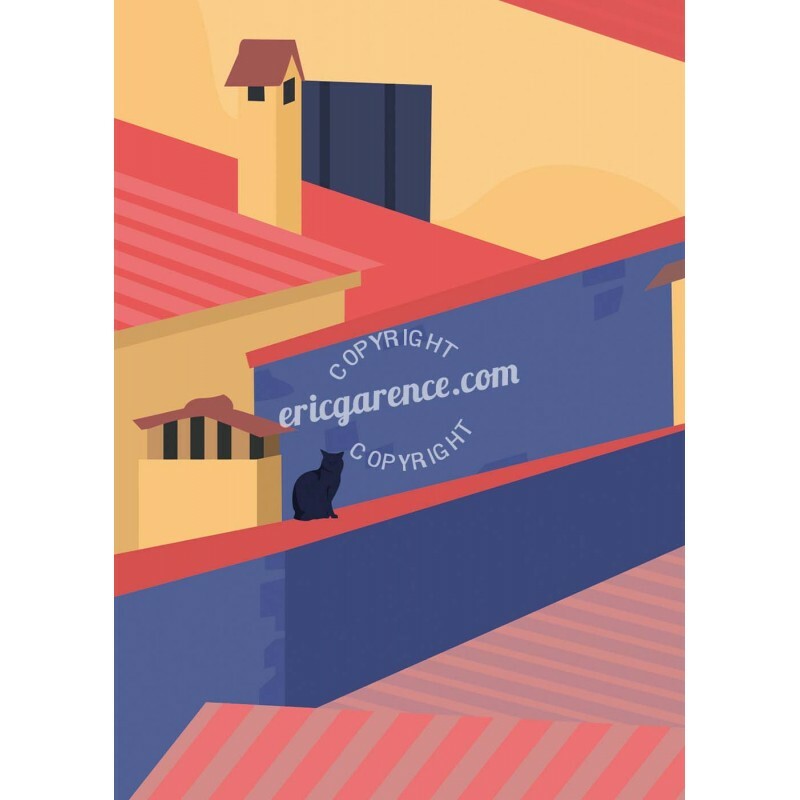 On the roofs of the village we find the cats of Valbonne, still very present in the Riviera. 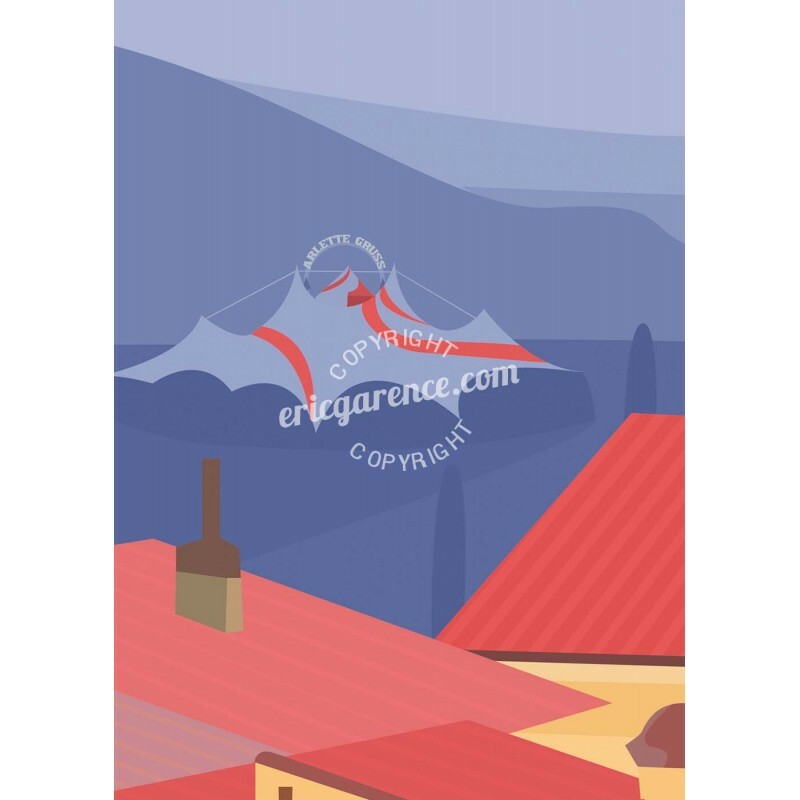 In the background, the circus Arlette Gruss, a regular in the village, hosted each year on August 15 at Saint Roch in the large meadow of Valbonne. 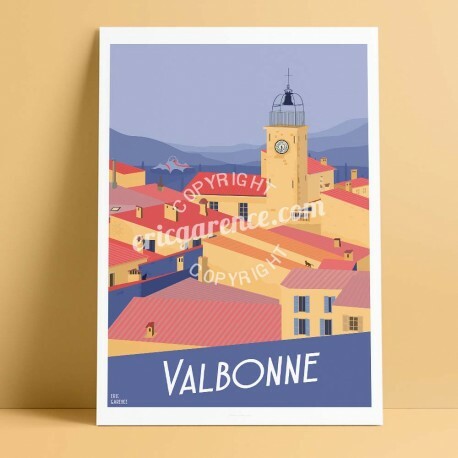 Valbonne also hosting the university, scientific, technological and residential center of Sophia Antipolis, we find an integrated circuit diagram on one of the facades.